Laurent Gbagbo: from Head of State to ICC detainee. To all those who have bemoaned the International Criminal Court for its inability to lure heads of state before its judges: you have about a day or so to get it out of your system. If reports are correct, the former President of Ivory Coast, Laurent Gbagbo is being transferred to the ICC. For the ICC, Gbagbo’s transfer is a significant victory. 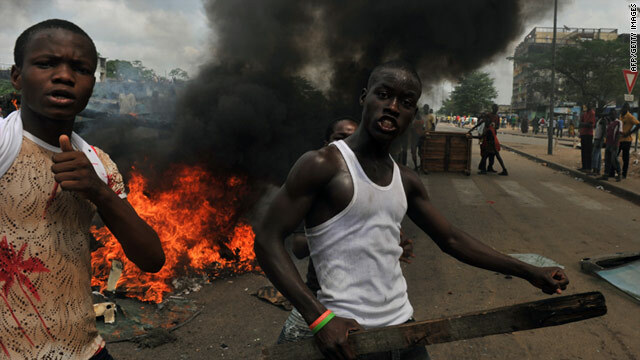 For the Ivory Coast, it remains to be seen how this most recent turn of events will affect the country’s attempts to achieve peace, justice and reconciliation. Whether or not the ICC or its advocates like it, much of its success has been and will be measured on the battlefield of rhetoric and politics. In this context, it cannot be understated: Laurent Gbagbo’s imminent transfer to the Court is a massive victory for the ICC. In rhetorical terms, the argument, often proclaimed by critics, that the Court is impotent because it can’t get the “big fish”, has been decimated. Now the ICC and its champions will be able to say it was just a matter of time, we always knew we’d get the big fish. Under her blind fold, lady Justice is sticking her tongue out at the ICC skeptics. How a trial of Gbagbo at the ICC will affect peace, reconciliation and justice in Ivory Coast, remains uncertain. 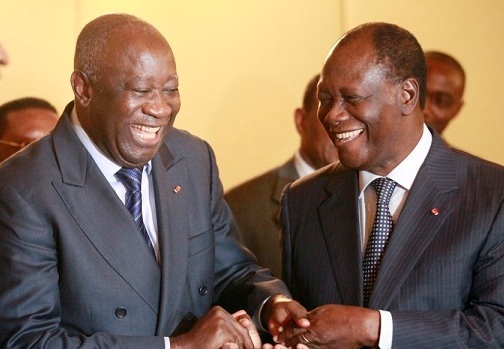 While some reports suggest the situation on the ground has been improving, the country was ravaged by instability, chaos and brutal violence before an international intervention, led by French troops, guaranteed Alassane Ouattara was instituted as President. 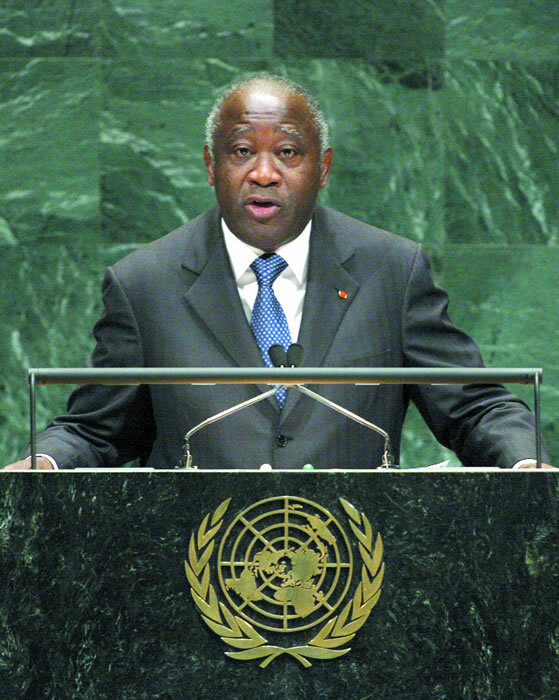 The removal of Gbagbo from Ivory Coast may have positive effects on stability in Ivory Coast. His physical removal from the country is a demonstration to citizens – both those who fear him and those who desire his leadership – that he cannot return to power and cannot sow the seeds of violence again. However, for Gbagbo’s trial to have a positive effect on justice, the ICC, in cooperation with Ivorian authorities, will have to make the process of his trial visible and accessible to citizens. The good news is that, in recent years, the ICC has dramatically improved its communication and outreach work in affected communities. This is particularly important given that Gbagbo will not be held to account for domestic crimes. Earlier this year, President Ouattara maintained that Gbagbo would be put on trial domestically for economic crimes and suggested that both domestic and international justice would be pursued in Ivory Coast. Having Gbagbo tried at the ICC makes a domestic trial virtually impossible. It would be years before Gbagbo could be returned to Ivory Coast to face trial, it is far from a given that the ICC would agree to do it, and Gbagbo would be in his seventies by that point. Lastly, it remains unclear whether there will be a credible investigation of crimes committed by pro-Ouattara troops and whether a truth commission on the crisis will be able to investigate independently of political intrusion. Reconciliation can’t be achieved if justice is simply a lop-sided affair done merely to legitimize new rulers. When it comes to developments in international criminal justice, it has been hard to know where to focus. Pay too much attention to events in Libya and you neglect developments in Bangladesh. Too much attention on Cambodia and you ignore the ICTY. Focus on criminal justice and restorative justice and reconciliation get neglected. It has many of our head’s spinning and unable to keep up. But that in itself is perhaps the biggest victory of all for international criminal justice: unlike twenty years ago, it’s happening; unlike ten years ago, it’s happening a lot. This entry was posted in International Criminal Court (ICC), Ivory Coast / Côte d'Ivoire, Ivory Coast and the ICC. Bookmark the permalink. Mark, what do you think about the ICC now? If you are a student of the world legal affairs, n of you should have a better comprehension of Mr. Gbagbo incarceration. I hope you’d found it to be ILLEGAL.